New leaks could possibly reveal that Frost is a playable character joining Mortal Kombat 11's roster. Mortal Kombat 11’s release date is quickly approaching. Set to release on April 23, the game is a little over a week away from being available to the masses. If you’re a fan of NetherRealm’s brutal fighting series, then we’ve got some interesting news to share as leaks could have revealed that Frost will be a playable kombatant in the latest entry of the series. The leaks, which were shared via Imgur showcase several photos of Frost on the kombatant screen, as well as in the game’s built-in photo mode. At this time there has been no official confirmation of Frost’s availability in Mortal Kombat 11, which means you should take these photos as rumor until the studio steps up and confirms them. Going back to the photos, though, it is interesting to see Frost making the line-up. Originally appearing in Mortal Kombat: Deadly Alliance, Frost was Sub-Zero’s apprentice. Outside of Dead Alliance, Frost has only been playable in Mortal Kombat: Unchained and Mortal Kombat: Armageddon. Her last appearance in the series was as an NPC in Mortal Kombat X. In previous iterations of Mortal Kombat, Frost has relied heavily on a few different moves. Signature moves like her Ground Freeze and Frosty Slide appeared in Deadly Alliance, Unchained, and Armageddon. Other Signature Moves like Teleporting Uppercut and Ice Puddle were only available in Mortal Kombat: Armageddon, with her Freeze Shatter Fatality available as a move in Deadly Alliance and Unchained. 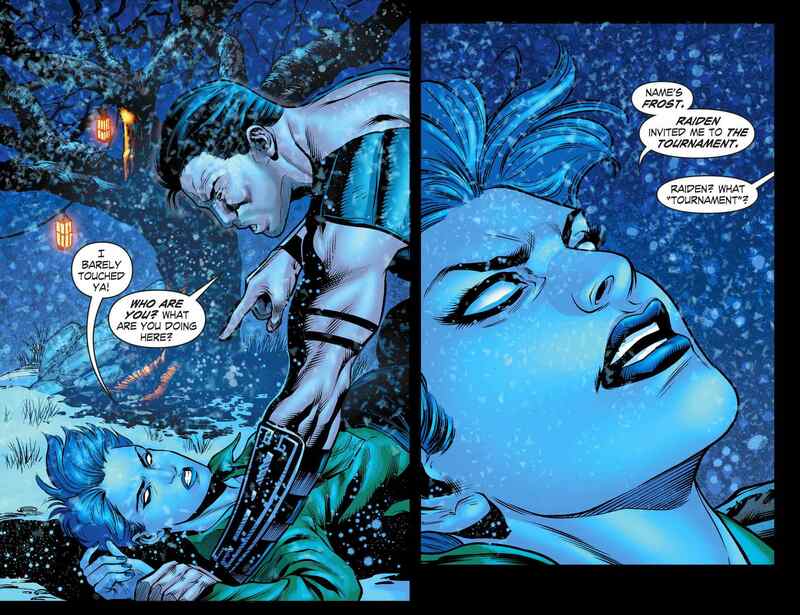 Frost also appeared in the Mortal Kombat X comics. If Frost does indeed make the jump to Mortal Kombat 11, then it will be the first time that she has appeared as a playable character since Armageddon, which released in 2006 on the PlayStation 2 and Xbox. 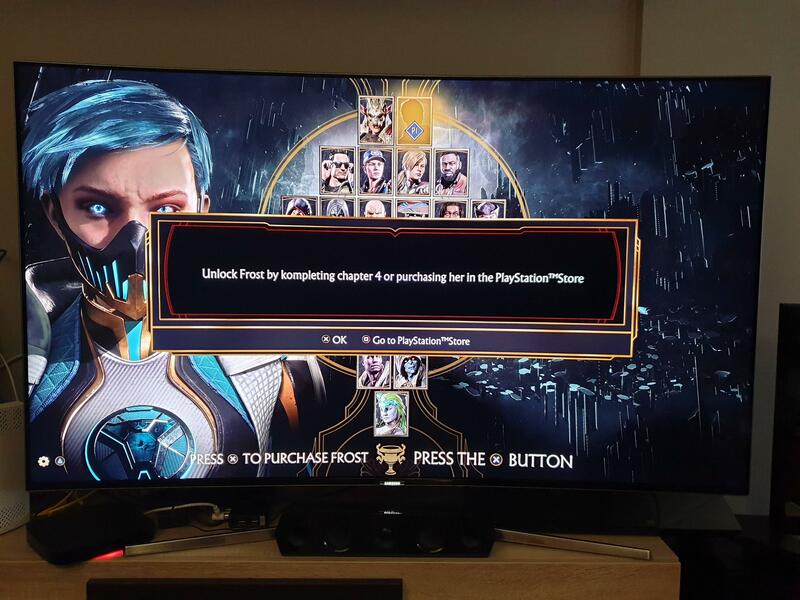 According to the images shared via Imgur, players will be able to purchase Frost from the store or by completing Chapter 4 of the game’s campaign. 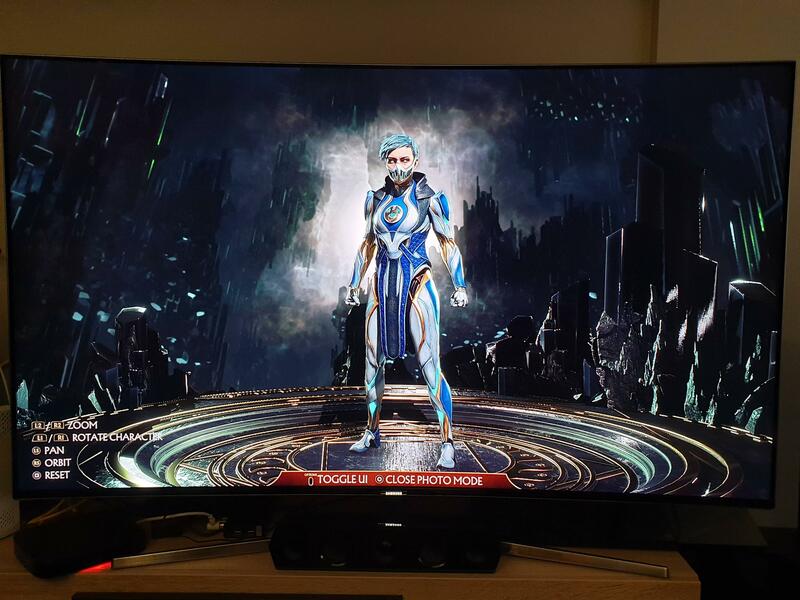 To reiterate, we have had no official confirmation that Frost will actually be available in Mortal Kombat 11 and we cannot verify the photos shared via Imgur are 100% real. Still, it’s not hard to be excited by the prospect that we’ll once again be able to take control of Frost and beat down some baddies using her cryomancer skills.